Booker T. Washington State Park offers several group facilities and individual picnic sites to make a full day out of your fishing excursion. Just 20 minutes east of Chattanooga, Booker T. Washington State Park offers easy access to abundant fishing at Chickamauga Lake. Fishing at Booker T. Washington is easily accessible at the pier or by boat. Built primarily by African-American units of the Civilian Conservation Corps, Booker T. Washington State Park takes its name from the African-American community leader of the late 19th and early 20th centuries. Booker Taliaferro Washington was born into slavery, freed at age nine, and spent his life and career advocating for freed slaves in the face of discriminatory Jim Crow laws. Washington was key in mobilizing his generation of African-Americans in the south, who worked to create entrepreneurial and educational opportunities and end segregation. Today, his namesake park offers an array of recreational activities, all just 20 minutes from Chattanooga. At 353 acres, Booker T. Washington appears to be among Tennessee’s smallest state parks—until you realize it’s on the shores of Chickamauga Lake, which has a 36,000-acre impoundment. 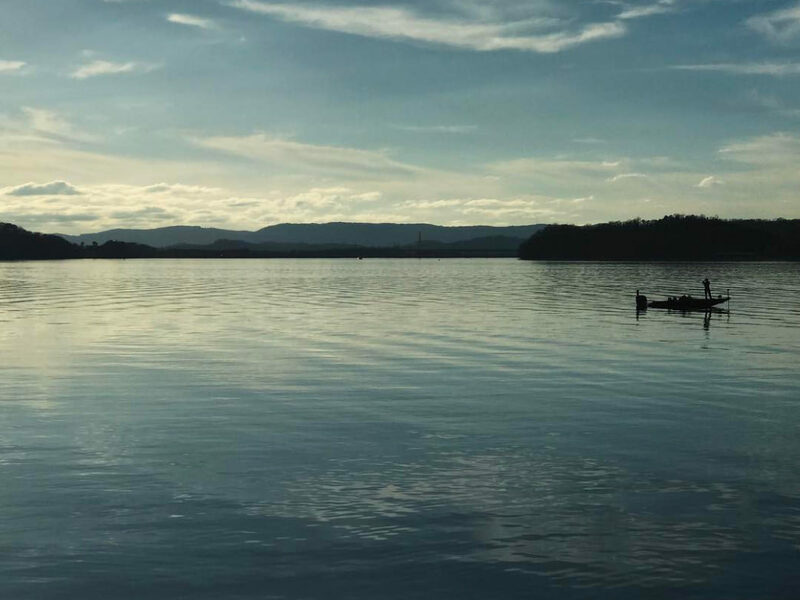 The Tennessee Wildlife Resources Agency (TWRA) recognizes the park’s incredible fishing potential, and makes a great effort to maintain its shorelines so waterfront access remains easy for fishermen. Private boats are also allowed on the lake, and you’ll find a boat ramp and parking off Champion Road. Whether you’re fishing from the lake shore, the fishing pier, or a canoe, Booker T. Washington is known for its abundance of fish. 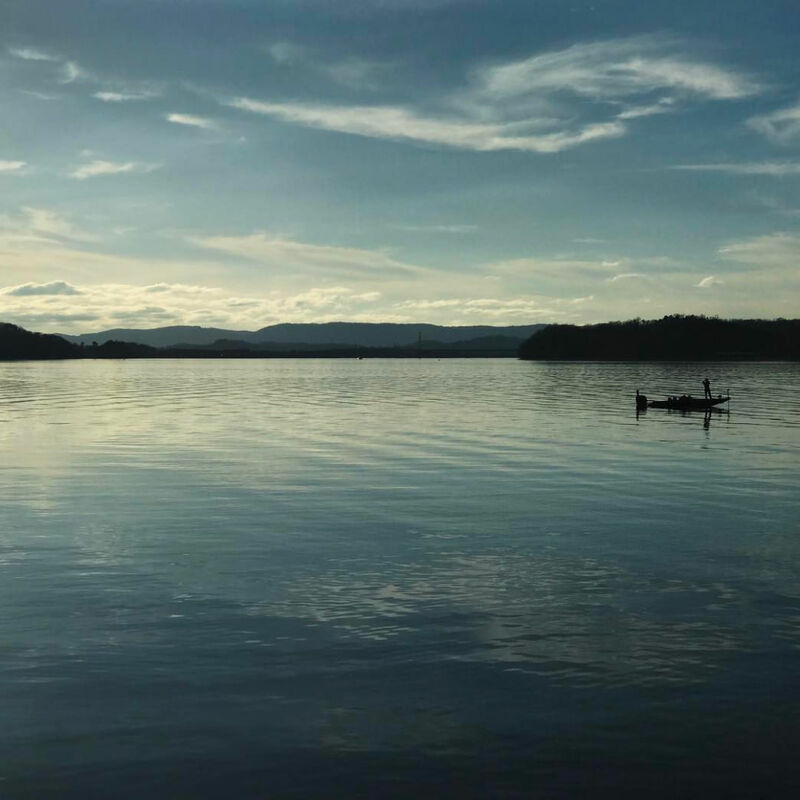 Chickamauga Lake is home to dozens of species, including small- and largemouth bass (often up to 10 pounds in recent years), spotted and striped bass, black and white crappie, and blue, channel, and flathead catfish. Hit the park in the spring for optimal crappie fishing, though bass and catfish can be caught year-round. Keep an eye out for Great Blue Herons, who like to hang out near the fishing pier. When you’re ready to stretch your legs, head to the park’s pleasant five-mile walking trail or the challenging six-mile singletrack mountain bike trail—either way, you’ll likely see the park’s famous migratory birds, including osprey and bald eagles. With excellent beach access and 30 individual picnic sites with grills and water spigots, Booker T. Washington is a great spot for families looking to enjoy the outdoors. Access is easy, so it’s an ideal location for inexperienced fishermen who aren’t ready to commit to a full day. At the same time, there’s also more than enough excellent fishing to keep avid sportsmen occupied. Booker T. Washington State Park is located at 5801 Champion Road in Chattanooga. Though there are no fees to enter the park, a state fishing license is required for fishermen ages 13-65. Licenses to fish all species are $11.50/day for residents or $40.50 for three days for non-residents. Purchase your license online at the TWRA site.